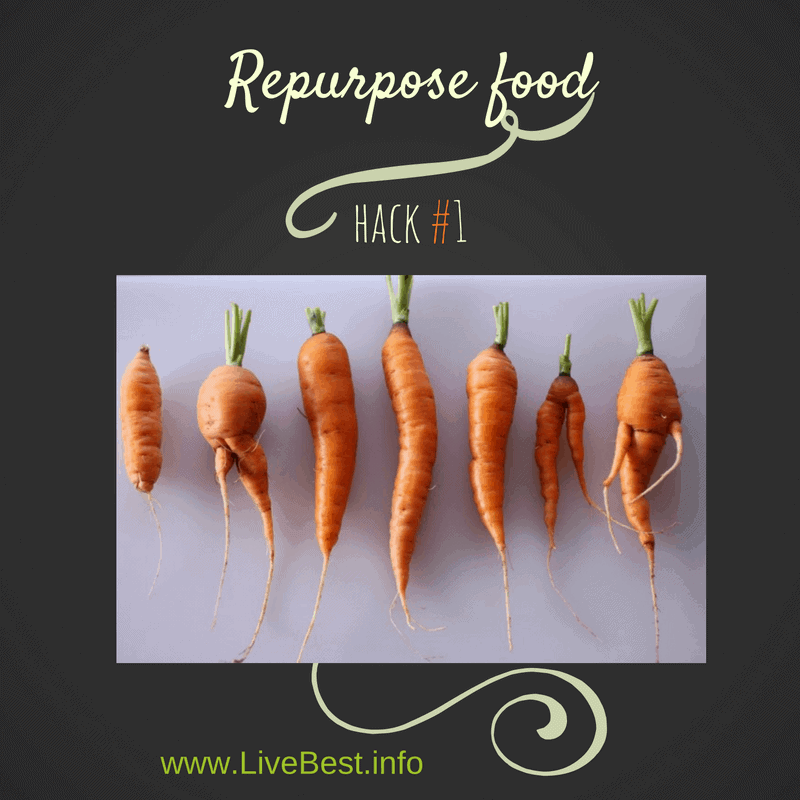 Repurpose Food is a LiveBest series where I share delicious ways to reduce food waste. I love being resourceful in the kitchen. 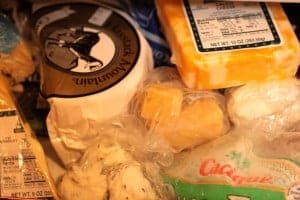 Join me as we use those refrigerator finds and cabinet castaways to create bestovers – one delicious bite at a time with cheese! Does your cheese drawer look like mine? Full of odds and ends of different types? I love to make something out of nothing, so here’s how you can repurpose those bits into something delicious with these food solutions. 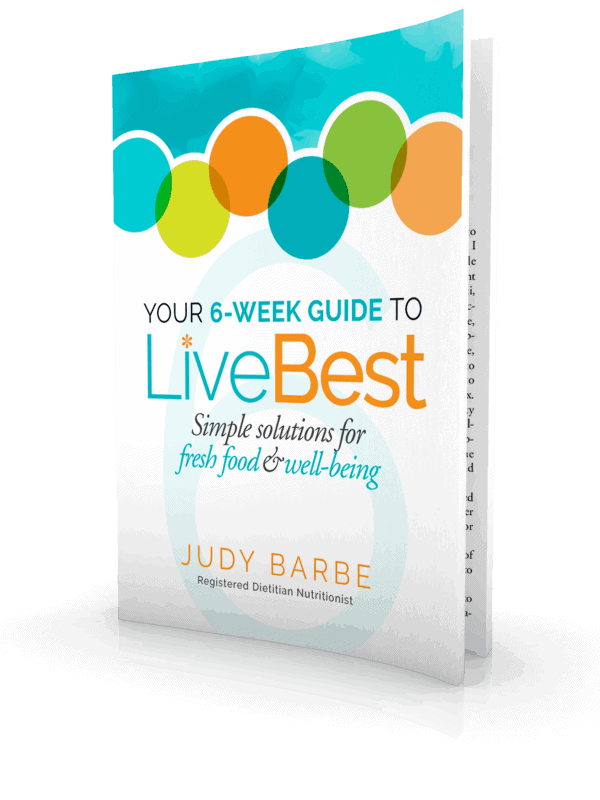 It’s all about saving nickels, saving dimes and using the food you have on hand. Many cheeses can be frozen, but the texture changes when defrosted. Generally the cheese gets crumbly. That’s not a bad thing if you’re cooking with it. 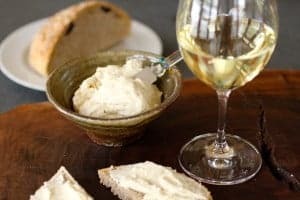 Crumbled goat cheese or mozzarella is fine on a pizza or in a casserole, but don’t expect to use it on a cheese board. Wrap cheese to store airtight in the freezer. Thaw in the fridge for 24-48 hours before using. Mold on cheese isn’t necessary bad. Some cheeses, such as Blue and Camembert, have mold added during production to help develop certain flavors and characteristics. That’s the Yum Factor. But if it has an ammonia-like odor, throw it out. Harder, aged cheeses, such as Gouda, cheddar, Parmesan and Swiss can last up to six months. If you see a mold spot, cut away an inch on all sides and you can safely eat it. Soft cheese such as Brie, cream cheese, goat cheese, ricotta and shredded cheese may last 3 to 4 weeks, but if you see mold, throw it out. Learn more cheese tips from The American Cheese Society. 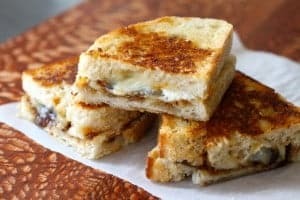 Use the leftover bread, pieces of cheese, and jam to make a sandwich that is not your mother’s grilled cheese! Fromage Fort, (“strong cheese”) is one way the French use leftover cheese. The beauty of this recipe is that nearly any cheese will do. In fact, the more assortment, the better the flavor. 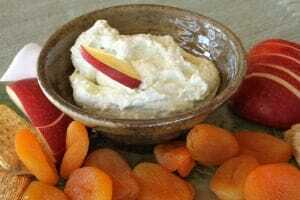 Blue cheese, Parmesan, cottage cheese and plain yogurt. The cottage cheese and yogurt add tang and body but lots less fat than cream cheese, but best of all they add protein and calcium. 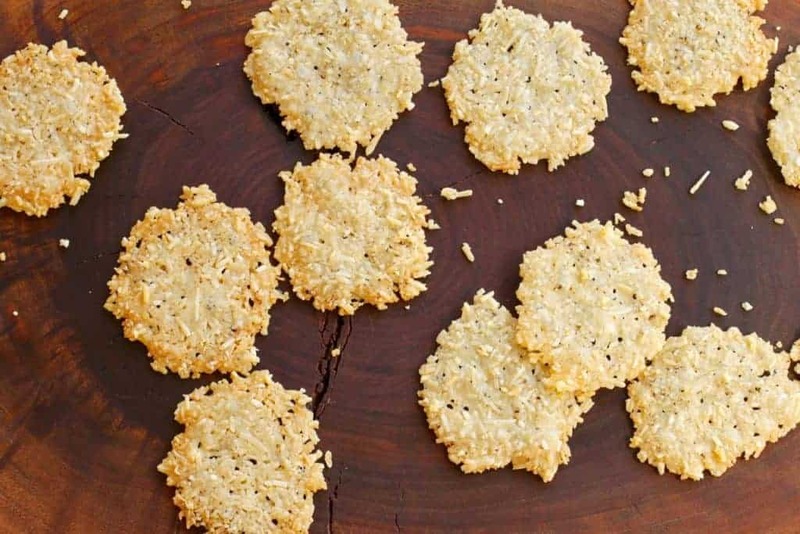 Use any hard grated cheese to make these quick-to-fix crisps. They will quickly disappear from a happy hour platter. Makes them a happy app! How do you use those leftover bits of cheese? Thanks, Barbara. That’s right, shop your own kitchen first! 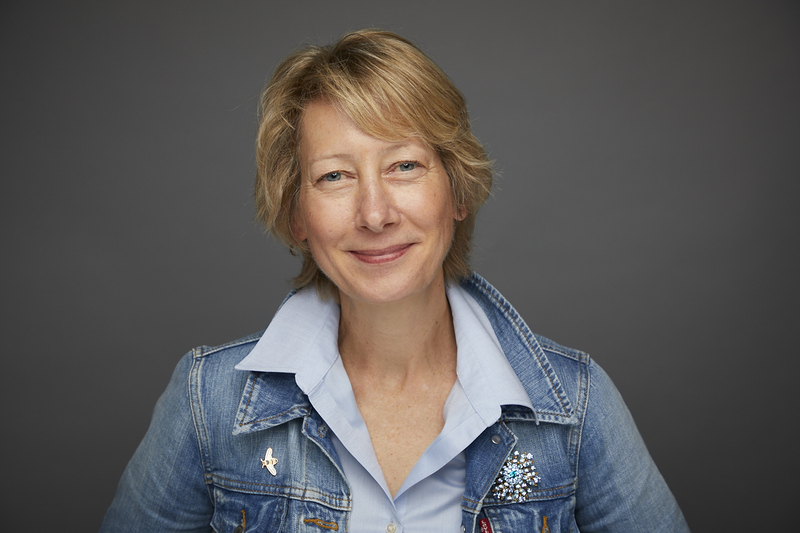 What a creative & valuable blog on cheese! Enjoyed reading & will try Fromage Fort. When I make homemade mac & cheese, I shred the bits of various leftover cheese; adds a depth of flavor. Great idea with the mac and cheese! Fromage Fort fits in to your entertaining style. Let me know how it goes. Thanks, MLC.